Khabbaz Azar, S., Moeen, M., Niknahad, H. (2012). Cytotoxicity of Juniperus excels and Salvia mirzayanii Extracts against HepG2 Cells. Iranian Journal of Pharmaceutical Sciences, 8(4), 241-247. Soheila Khabbaz Azar; Mahmood Reza Moeen; Hossein Niknahad. "Cytotoxicity of Juniperus excels and Salvia mirzayanii Extracts against HepG2 Cells". 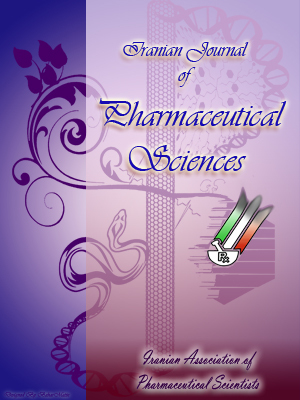 Iranian Journal of Pharmaceutical Sciences, 8, 4, 2012, 241-247. Khabbaz Azar, S., Moeen, M., Niknahad, H. (2012). 'Cytotoxicity of Juniperus excels and Salvia mirzayanii Extracts against HepG2 Cells', Iranian Journal of Pharmaceutical Sciences, 8(4), pp. 241-247. Khabbaz Azar, S., Moeen, M., Niknahad, H. Cytotoxicity of Juniperus excels and Salvia mirzayanii Extracts against HepG2 Cells. Iranian Journal of Pharmaceutical Sciences, 2012; 8(4): 241-247.